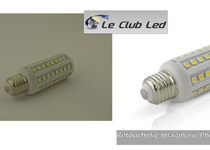 I am a photo restorer and retoucher since 2007. I value communication greatly and like to build my business relationships in a friendly yet professional way. 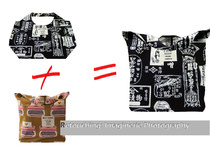 I can be very picky...Read moreI am a photo restorer and retoucher since 2007. I value communication greatly and like to build my business relationships in a friendly yet professional way. I can be very picky concerning my work and will go that extra mile (more likely extra hour!) to achieve the goal I’m after. I aim at good and effective communication, and consider that the client and I are working as a team to achieve the desired image and message. I appreciate a strong sense of humour and a job well done, and I deliver them both on time! Description: Photo restoration and retouching for private customers and small companies. Private family albums retouching and layout. 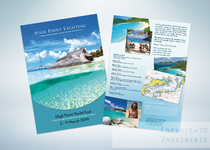 Cut outs, background change for catalogues and websites. Description: Redrawing of a logo, designing icons for their website and stationery. Description: Studio and on location photography, specialising in food photography for a luxury catering industry magazine. Field of Study: painting, drawing, sculpture & Arts history. Retouch 1 portrait for social media. She did an incredible job with a face swap/general editing. She finished my picture in a matter of hours and was very pleasant to deal with. Highly recommend! Great communication, delivered on time to good quality. Thanks so much! Quick, attentive to detail, perfect! Thank you, Sandrine for a great job done. Brilliant experience and work produced is of a very high standard. I would highly recommend Sandrine. Amazing, super efficient and her work is brilliant. Highly recommended and will certainly be returning to work with Sandrine again. Best services I have ever received. I have worked with Sandrine a few times now. She always does a perfect job, she is a delight to work with and so fast. Highly recommend her! Sandrine is professional, friendly and did a fantastic job! Sandrine does great work, communicates promptly and clearly, and delivers ahead of schedule. She edited four pictures from my wedding that I am now able to frame and give as gifts! I highly recommend her for your photo editing needs. Very easy to work with; did a very wonderful job w/ a photo of very low quality. Was early in terms of deadline. Friendly and communicated updates. I recommend Sandrine very much! great work, fast & high quality. will work with them again! Thank you so much for the photos Sandrine, you have done a fantastic job and we are very happy with the outcome.